Otto Arthur Brandt was born 3 February 1874 in Blackcreek Township, Mercer County, Ohio, the son of Ludwig/Louis and Margaretha/Margaret (Heffner) Brandt. His father was born in Dietzhausen, Prussia, and his mother in Mercer County, Ohio. Otto was baptized 8 April 1874 with his parents serving as his sponsors. 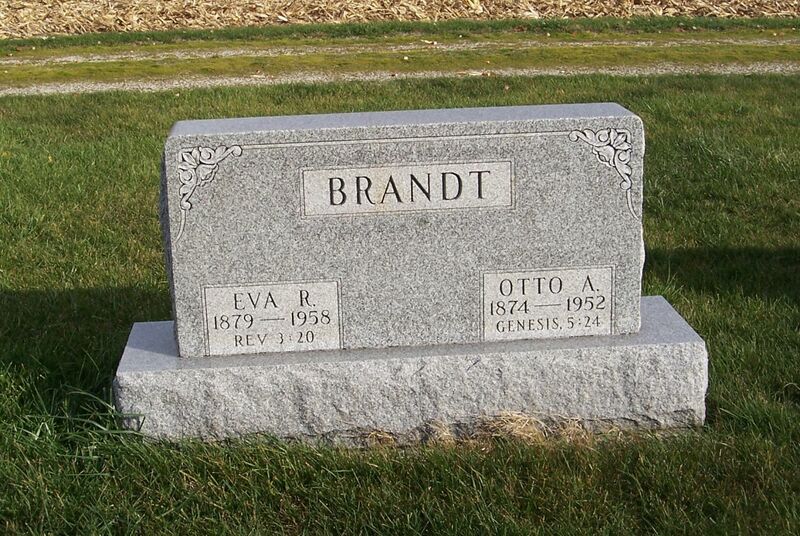 Otto Brandt’s mother Margaret died in June 1889, less than a year before his confirmation. 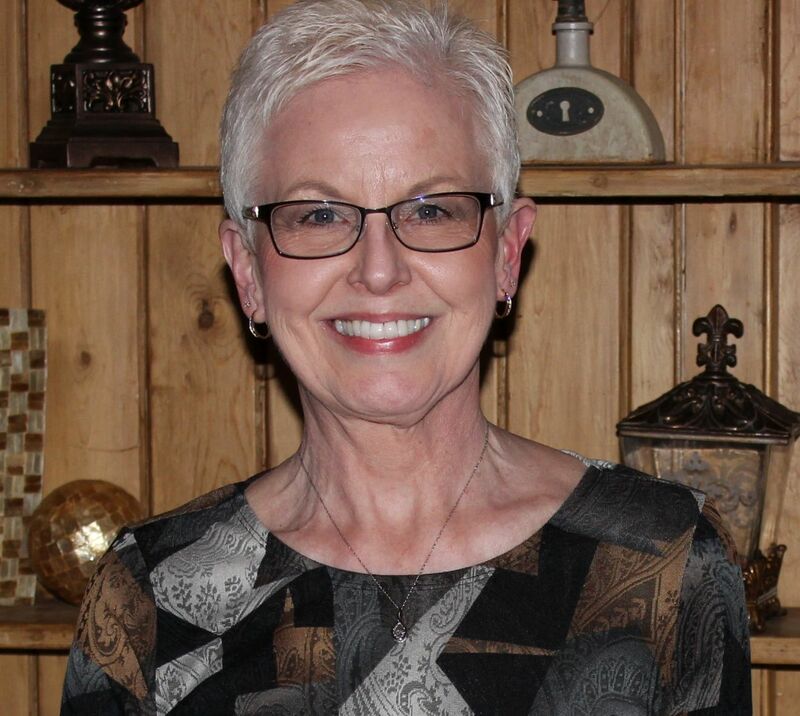 She was only 42 years old. Otto was confirmed at Zion Chatt on Palm Sunday, 30 March 1890. His father Louis married Maria Schulz on 5 December 1895 and they had three children together, Louis, Emil, and Margaret, Otto’s half-siblings. 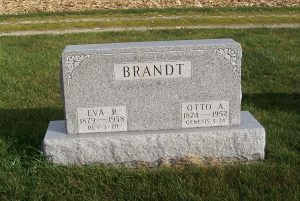 Eva (Wise) Brandt died of a heart attack at 6:00 p.m. on 12 December 1958, at the age of 79 years, 8 months, and 18 days. She was buried on the 15th and she chose Rev 3:20 as her funeral text. 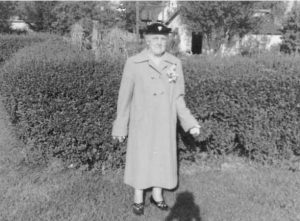 She was survived by survived by three daughters, Mrs. (Owen) Esther Havens, Mrs. (Charles) Bernice Schell, and Mrs. Dean Baughman; 2 sons, Carl L. and Herbert W.; a brother Lewis Wise; a sister Mrs. Earl Dennis [?]. One son [Wilbur Clarence] preceded her in death. 1880 U.S. Census, Black Creek, Mercer, Ohio, ED 179, p.325A, line 40, Lewis Brant; Ancestry.com; NARA microfilm T9, roll 1048. 1900 U.S. Census, Black Creek, Mercer, Ohio, ED 74, p.13A, dwelling/family 261, Louis Bra; Ancestry.com; FHL microfilm 1241303, NARA microfilm T623, roll 1303. “Ohio, County Marriages, 1789-2013,” database with images, FamilySearch.org, O.A. Brandt & Eva Wise, 4 Mar 1903; Van Wert County Marriages, Vol. 10, p.585; FHL microfilm 1015863. “Ohio, County Marriages, 1789-2013,” database with images, FamilySearch.org, Simon Weiss & Lena Storm, 23 Nov 1876; Van Wert Marriages, Vol, 4, p.464; FHL microfilm 1015860. 1900 U.S. Census, Harrison, Van Wert, Ohio, Ed 79, p.7A, dwelling/family 59, John C Wise; Ancestry.com; FHL microfilm 1241329, NARA microfilm T623, roll 1329. 1910 U.S. census, Black Creek, Mercer, Ohio, ED 107, p.8B, dwelling 178, family 179, Otta A Brandt; Ancestry.com; FHL microfilm 1375227, NARA microfilm T624, roll 1214. 1920 U.S. Census, Black Creek, Mercer, Ohio, ED 124, p.5A, dwelling/family 93, Otto Brant; Ancestry.com; NARA microfilm T625, roll 1418. 1940 U.S. Census, Black Creek, Mercer, Ohio, ED 54-1, p.3B, line 78, Otto A Brandt; Ancestry.com; NARA microfilm T627, roll 3114. “Ohio Deaths, 1908-1953,” database with images, FamilySearch.org, Otto Arthur Brandt, 14 Sep 1952; FHL microfilm 2246306. Zion’s records indicate that Louis and Emil were “stepbrothers” and that Margaret was a “stepsister” but they would have been Otto’s half siblings. “Ohio, County Death Records, 1840-2001,” database with images, FamilySearch.org, Eva Rose Brandt, 12 Dec 1958; Willshire, Van Wert; FHL microfilm 1952882.